Home » Loan Sharks » Leave Residents of North Wales Alone! 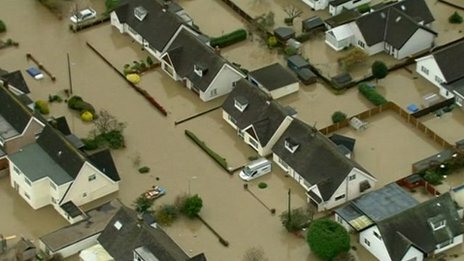 A recent flood in North Wales has causes four hundred families to lose their homes. Many people are concerned that loan sharks will swoop in to offer assistance, and thus, ruin their lives even further by drowning them in debt. The likelihood of this happening is greater than ever before…especially with the advent of the Internet being able to spread messages so quickly. Thus, our message to all loan sharks out there is simple. Leave residents of North Wales ALONE! Thankfully, the not-for-profit North Wales Credit Union is offering rates discounts to families that have been plagued by this flood. The credit union was setup last year after combining 5 of the regions largest credit unions. If you’re a victim of the flood, do not accept a loan from a loan shark. Call a representative at North Wales Credit Union to see how they can help you.